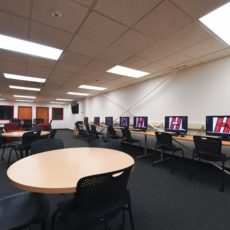 University of Hartford strives to help their student-athletes balance their goals to achieve both academic excellence and athletic success. 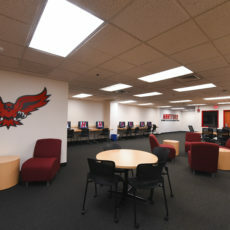 This is evident with the renovation of their standard fitness room into what is now the Student-Athlete Development Center; located in West Hartford within the Athletic Building on the main campus. OFI furnished 6 offices for Athletic staff, 18 workstations as well as lounge and study areas for students throughout a 2,700-square foot space. OFI’s team worked with the University to specify new furniture and finishes. Working on a stringent budget and a tight timeframe, furniture was installed just before the start of the semester. 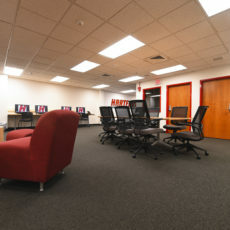 The department couldn’t be happier with the space, viewing it as a way to enhance their reputation for successful student athletes.